Here is a theory. I am connecting some biblical dots here but not everyone subscribes to my interpretation I’ve developed based on those biblical dots. We know that Lucifer fallen to earth, for iniquity was found in him and he was cast from his place in heaven. (Isaiah 14:12-14; Ezekiel 28:12-18). A third of the angels followed him. (Revelation 12:4). Those dastardly guys did not take their ejection well. Satan knew that God had promised a Redeemer from Noah’s line, and definitely not wanting a redeemer to be able to emerge on earth, the angels set about helping man in his depraved ways corrupt them beyond recognition. We know that strange men were still on the earth even after the days of the Nephilim when some of the tribes still pillaged around the Middle East subsequent to the flood, including the Raphaim, Anakites, Zamzummites, Emites, and, of course, the giant Og, King of Basham. Goliath and his four bothers as described in 1 and 2 Samuel were giants. When 10 of the 12 spies were dispatched to check out the promised land, they were petrified at seeing one of the Nephilim tribes, and even described a grape cluster so large it took two of the men to carry it. Satan was still enacting his plan to corrupt. 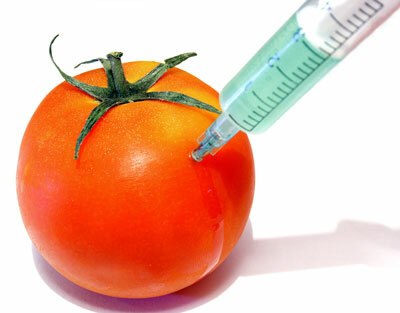 Here we have a glimpse of genetic tinkering with food. Not only were the Nephilim causing destructive mutations among humans and in the food supply, but also in the animals. 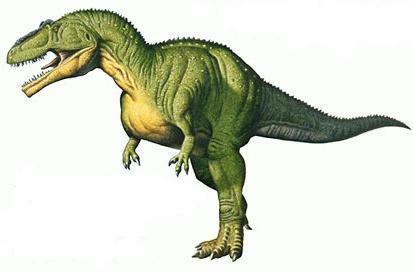 (1 Samuel 15:3) I personally believe God did not make dinosaurs but rather they were an animal result of Nephilim and fallen angel messing with genes. I also believe the dinosaurs were not invited to the Ark and perished in the flood. I mean, why would God make an animal too big to move with too small of a brain to handle it? Dinosaurs were not biologically efficient nor elegant. So anyway, genetic messing with our genes was the ploy the fallen angels used to wreck the bloodlines and hopefully prevent the promised redeemer. But satan never gave up, we read ahead in history and see how he is active on the earth up to this moment and beyond during Revelation times. So would satan abandon a successful tactic of destruction and ruination, corruption and perversion, such as genetic tampering? No. Now when John reminds us that satan comes to steal, kill, and destroy. (John 10:10) So here is my theory. Having failed to corrupt man through the direct tactic of genetic manipulation from marriages of themselves to daughters of men, and the animals, they now pollute the food we eat, embarking on an indirect method to corrupt us. Have you ever wondered why we are experiencing the ever-earlier onset of puberty? It’s age 9 now, with onset as early as age 7! Why? Or why we’re all huge? Large, lumbering, fat, obese, and taller than ever? We can’t even fit on seats anymore from Depression-era movie theaters. Or why autism has quadrupled? Or why suddenly, celiac disease has sprouted up in widespread manner in the population and doctors can’t figure out why? (“Increase in celiac disease baffles doctors.”) Or why food has to be genetically modified in the first place? The genetic mingling happened in the past, is happening now, and will happen again once more in direct manner: In Daniel 2:43 there’s a reference to someone from the fourth prophesied kingdom “mingling themselves with the seed of men” in the last days. KJV: “And whereas thou sawest iron mixed with miry clay, they shall mingle themselves with the seed of men: but they shall not cleave one to another, even as iron is not mixed with clay.” Who is the mentioned ‘they‘ mixing with seed of men? Something not man? Hmmm. “The thief cometh not, but for to steal, and to kill, and to destroy: I am come that they might have life, and that they might have it more abundantly.” (John 10:10) Fortunately, satan’s efforts will have only one last zenith and then he will be bound for 1000 years. He will be loosed for a short time, and then thrown alive into the lake of fire forever. Jesus triumphed on the cross and He is THE VICTOR. All who believe in Him are victors too.